Waking up early gave me more time to do homework, exercise and make breakfast. Just like any other school day, I brushed my teeth, showered, reluctantly got dressed and sluggishly trudged downstairs. But instead of stumbling straight out the door as usual, I spent the next 15 minutes sitting on my couch doing nothing. I pulled out my phone to check the time: not even 5:00 a.m.
For two weeks, I woke up at 4:30 a.m. Monday through Friday. I got the idea from a viral video of former Navy SEAL Jocko Willink. In the video, Willink claims that people stay up too late occupied with mindless activities, like watching TV. Because most people are still asleep early in the morning, having free time early in the morning—rather than late at night—supposedly makes people more efficient. The idea made sense in my head, but I had doubts that it would work as flawlessly as Willink suggests. The first morning—despite the fact that I went to bed before 10 p.m. the night before—was tough. The default iPhone alarm strikes fear in me regardless of when I hear it, but it’s especially painful at 4:30 in the morning. In addition to the early wake-up call, I wanted to try taking a cold shower: a practice recommended by former Navy SEAL Clint Emerson. Advocates for this practice claim that cold showers improve blood circulation, increase alertness and strengthen the immune system. Although I was skeptical, I thought it was worth a shot. The freezing cold water certainly woke me up. But I missed the comfort of a hot shower, and I don’t see myself switching over any time soon. Over the next few days, the sound of the alarm became less jarring. Once I became confident that I wasn’t going to sleep through the alarm, I began planning to do homework in the morning. This was my favorite part of the experience. I often have trouble motivating myself to finish homework late at night, so knowing I had extra time in the morning was comforting. I even had time to eat breakfast! My scrambled eggs and toast turned out pretty delicious, and it was a fantastic way to start the morning. Willink often uses his extra time in the morning to work out. One day, while it was still pitchblack out, an early-bird friend of mine picked me up to go to the gym. Later that day, in first period, it dawned on me how much better I felt than usual. Going to the gym before school and still having the whole day ahead results in a sense of accomplishment that’s hard to beat. Of course, there were some drawbacks that came with such a dramatic shift in my sleep schedule. Initially, I had trouble staying awake throughout the day and fell asleep most afternoons. But as the week went on—and I began going to bed earlier—this became less of an issue. It truly felt like I had more hours in the day by waking up at 4:30. I used to wake up less than an hour before school started, rush through my morning routine and go to school. 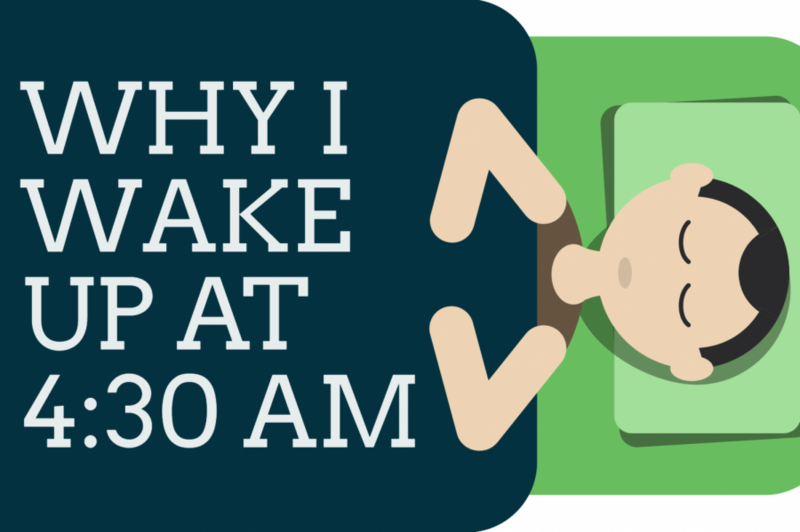 Once I started waking up early, there was no longer a sense of unnecessary urgency. If I wanted to get work done, I could. If I wanted time to relax, I could do that as well. I definitely considered keeping this schedule after the challenge ended, but my tiredness got ahold of me, and I returned to my normal sleep cycle. These two weeks were life-changing—even if they didn’t turn me into a Navy SEAL. This story was originally published on The Black & White on March 17, 2019.